or do you fall into your old way of working? 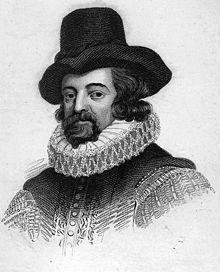 Sir Francis Bacon, a philosopher in 1600 wrote in Latin; Scientia potential est. It means: Knowledge is power. Bacon meant that education and knowledge is the most valuable assets in life. 400 years later this quote still stays. Many questions at StartBuyingInChina are about getting knowledge. How do you know if a Chinese site is real or fake? How does the shipping process work? Is it safe to pay with Western Union? I believe everyone should invest in his own education all his life. Learning doesn’t stop after high school. Even if you are 30, 40 or 80 you still need to learn. New knowledge will bring you new experiences and new opportunities. The knowledge I collected about buying in China will be bundled in 2 different courses. The first will be about Safe Buying in China. This course is almost finished. It is created for people who wants to buy online safely without loosing money on scam sites or shipping. The second course will cover techniques how to make money with Chinese products. This course is more advanced and is created for the small entrepreneurs. In these courses I’ll share everything I know and I’m really excited to have this knowledge systemized and categorized. And then I made a mistake…. The Latin words Mea Culpa means: My Mistake. It was used in the Catholic Church and nowadays it is used if someone makes a big mistake in life. My ‘Mea Culpa’ was last weeks blog. It was a marketing mistake. CAN I HAVE YOUR ATTENTION KNOW !!!! Most online and offline marketing is interruption marketing. The advertiser wants you to stop whatever you are doing and wants you to listen to him, now! You see it everywhere. These are the ads in the newspaper, the commercials on TV, the billboards along the streets. And the problem with interruption marketing is that it is not effective and even worse, it is annoying. The new way of marketing is added value marketing. It is marketing by adding value to your customers, users, readers. Value, more value and even more value. Your customers will learn to know you and trust you. And when the time comes they want to buy the product you are offering, they will come to you, because they know you. What I did wrong last week. This year I followed many marketing trainings. 2 weeks ago my trainer told me that everyone should send a Christmas bonus to his community. And so I did. I created a sales page, a course preview, blog, newsletter to push the presale of the first course through your door. I sent you an newsletter I’m excited about this course. But the real messages was: I want to have your attention now, buy this! I had to admit I made a mistake. But what mistake? Thinking back, there was little value, mostly an attempt to get your attention. I fell in my old way of thinking: interruption marketing. When you offer a product or service can you add more value to your clients than your competitors? This can be in normal business, or with products you buy from China. If you sell smartphones from China, how can you add value? Can you translate the manuals? Can you offer a repair service? If you sell jewellery from China, can you add value by creating combinations? Do you blog about jewellery? If you sell clothing from China, can you add value by giving advice, like colours? Do you blog about fashion? Try to stand out. Be different than your competitors. How do you stand out with your products? How do you add more value than your competitors in 2015? Please write it down in the comment box below. Wishing you a wonderful and valuable 2015!! Please press the FaceBook like button this blog and share this blog with your friends. 11 replies to "Can I have your attention now?" I am glad I found your web site, while attempting to understand what happened with a purchase I made on DHGate.com this past week I received a tracking number, yet it indicates not found on EMS China Tracking. After writing to DHGate Customer Service, they too verified that the Tracking number was not found by using http://www.17track.net. I was instructed to contact the seller, which I did. I hope I wasn’t scammed out of $283.00USD. I look forward to learning more on dealing with Chinese sellers and buying from China. Finding your tracking number is no guarantee with 17track. I hope you got your products by now..? Thanks for the information. Please I want if http://www.eforchina.com and sunsky-online.com are geniue sites. Thanks. both are legitimate, but I have no experience with them. I read some of your other articles and they are waoh! Please, is buycheapelectronic.com a safe place to buy? Cheers. Less than 2 seconds to say FAKE FAKE FAKE! Don’t loose your money on this site. You just saved me some $$$. 10x, dude! Great blog. I never thought about this before. I skip the ads in newspapers and I seldom watch TV because of the commercial ads. I prefer movies. You talk about having a blog. Why do you think a blog does help. I have a business in shoes. Who is going to read my blog? I suppose you are in shoe business one on one. The blog is to stay in contact with your clients and to be sure the will come to you next time again. A blog is different than a newsletter. 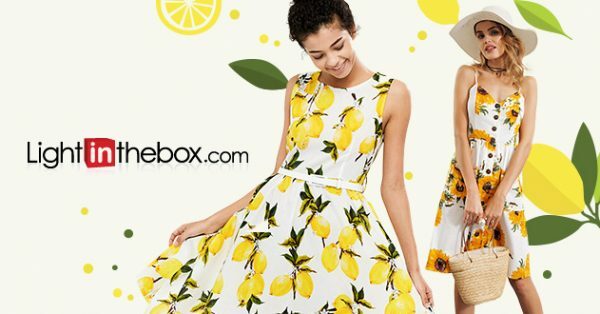 Everybody is sending newsletters with ads for sale, new collection etc. Think about a way to add real value to your clients. Ask them what they want to know and write about that. Beside this create real events for your clients. If you have a sale, make it a remarkable festivity. Use your blog to communicate with your existing clients first. If you add enough value in your blogs, it will bring you future clients too.